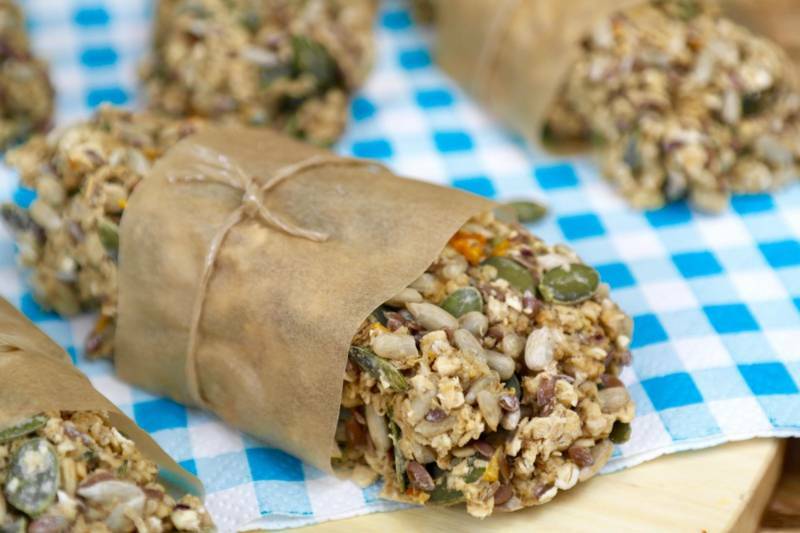 A very nice recipe from Monique van der Vloed to make muesli bars in which Greensweet Extra Sweet is processed. Preheat the oven to 180 degrees, cover a baking tray with baking paper. Stir all ingredients firmly. Let this stand for 5 minutes. Spoon the griddle with a large spoonfuls and decorate long square strips. Bake the bars in the middle of the oven in about 35 minutes, keep checking in the middle. Allow to cool.